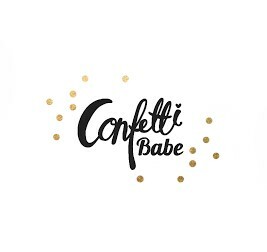 Happy Friday, Confetti Babe Readers! When I found out I was pregnant, I was so excited to capture every single moment of my pregnancy and my little one's milestones. In my efforts to be the "perfect mom," I started writing pregnancy letters to my "womb baby." 4 months preggo and starting my letter journey! I wrote my first letter to baby when I was 18 weeks pregnant. My goal was to start earlier, but we got married when I was 13 weeks pregnant and finalizing everything for our wedding took up so much more time than I originally planned. I faithfully wrote a letter from 18 weeks until I was 38 weeks pregnant. It is crazy how quickly we forget about our pregnancy ailments once our babe is in our arms. Or is that just me? I hope Amelia enjoys reading these letters years from now as much as I loved writing them! I also hope that I commit the time to do this for baby #2 when that time comes! The second thing I did to capture my memories for Amelia was to start a baby book. I searched high and low for the perfect book. There were several things I was looking for: detailed family history/pregnancy information, monthly highlights for the first year, milestone pages and continuing on to at least her fifth birthday. My mom finally located the perfect book in a small boutique in Norfolk, NE and surprised me with it at Amelia's baby shower [similar items here and here ]. So far, I have been diligent about writing each month and trying to capture all the little moments. I absolutely loved looking at my husband's baby book that my mother-in-law kept for him! Sadly, my mom never got around to making one for me and can't even remember what my first word was! Pictures are another great way to capture just how small our babes once were! There are so many options out there for monthly photo shoots! Some of my favorites include: monthly stickers, writing on chalkboard [here] and wooden blocks [here]. 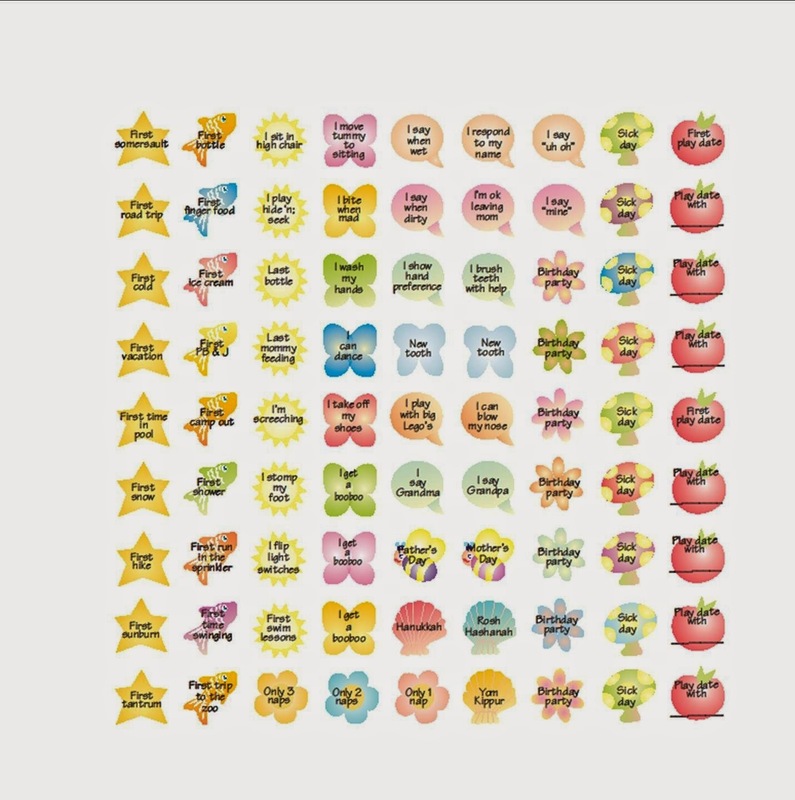 We have a gender neutral, monthly sticker pack from a local natural parenting store [similar stickers here ]. My goal is to use these for each baby, (please let there be more babies!) so I went neutral instead of the super adorable gender specific ones! I photograph Amelia every month in the same spot: her changing pad and her rocking chair. 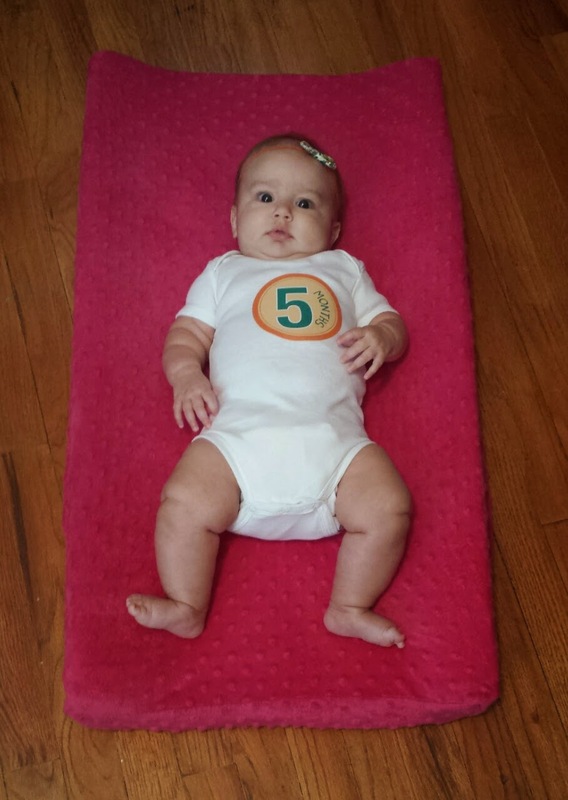 It is absolutely crazy to see how much she has grown in just 6 short months! I strongly suggest using the same spot for each photo so the "scale" stays proportionate to actual growth. Th final idea I have yet to incorporate, but plan on starting soon (like tomorrow!) is a milestone calendar. My mother-in-law tracked just about everything my husband did as a child from one to three years. On her calendar, she included new words and sentences, how high he was counting, special activities and outings, family birthday parties, potty training successes... you name it, you can find it on Brandon's calendar! I had NEVER heard of such a thing and I cannot wait to start working on Amelia's! I think it would be great to start at birth, but since I wasn't that on the ball, I would like to start tomorrow (her 1/2 birthday!) and record from here until whenever seems appropriate to stop. I found some milestone stickers on Amazon [here ] and a 2014 calendar on sale at Target. Because the year is already half over, I will most likely backdate some pages to include milestones that I recorded in her baby book! Alright momma's... this is what I have done and still want to do for little miss Amelia. I would LOVE to hear what you all have done to capture the memories of your littles! I am always looking for new ideas. Writing letters is so sweet! I wish that I would have thought of that. I'm doing a project for her 1st birthday. I've taken a picture of her every single day of her life so far and I want to make a photo album for her. She's adorable by the way! !